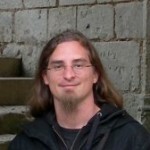 David Buchmann works at Liip AG as project lead and Symfony coach. He is one of the core developpers of the Jackalope implementation of PHPCR and working hard to make the Symfony Content Management Framework happen. When he is not coding, he enjoys travelling with his girlfriend, music and boardgames.